We are a design and build company that has worked on numerous projects covering different businesses, local government and private sectors spanning different industries and multi-national organisations. Our in-house work force of designers, carpenters, builders and account managers combine to provide stress free solutions from start to finish. All projects are CAD designed at our in-house studio. Through our account management and by designing, manufacturing and transporting all exhibition stands from our facilities, we work directly with you to ensure contemporary, innovative and cost effective solutions. We’ve been operating for over 25 years and have significant industry experience, allowing us to deliver your project with the utmost professionalism and coordination, managing everything from start to finish so you can concentrate on your business. We have an in house team of talented designers ready to draw up your exhibition stand like no other. We’ve been building quality exhibition displays for over 25 years, that’s a lot of experience across a variety of industries. We’re there every step of the way offering assistance where necessary. We even have dedicated event managers who can run the whole event in the background. It’s hard to believe, but we’ve been building brands for nearly twenty five years now; helping clients tell stories, promote products, and connect with customers in new ways. Time flies when you’re having fun! So it seems only fitting that the time has come to tell our own story. 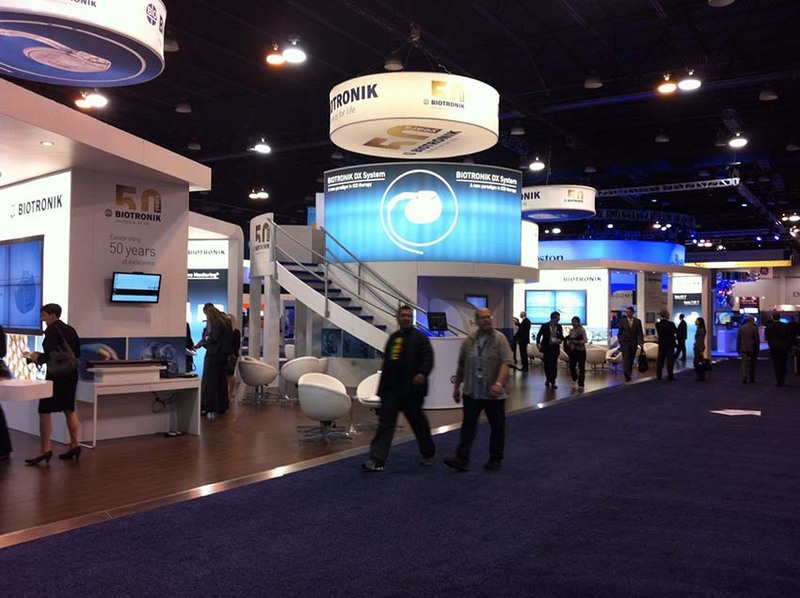 Like all good stories Applemed started with a simple idea: to help clients connect with customers by creating really innovative exhibition booths. What started in a small studio grew into a small warehouse and steadily expanded into our current 50,000+ square feet facility, incorporating offices, production and storage located in Cardiff. 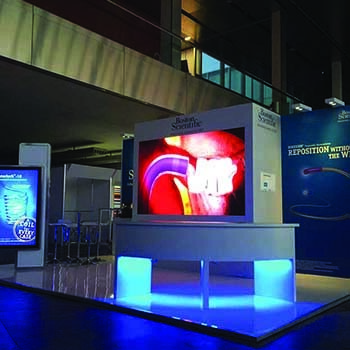 With the evolution of the Digital Age, bolts and wing-nuts have expanded into bytes and bits; exhibition booths have become multi-media experiences. To succeed in this landscape, the stories we tell must be both physical and digital, face-to-face and facilitated by media, offline and online, show time and around the clock. Content isn’t just king, it’s the entire Kingdom. Messages need to be authentic, compelling, and immediate to compete against more noise than ever before. 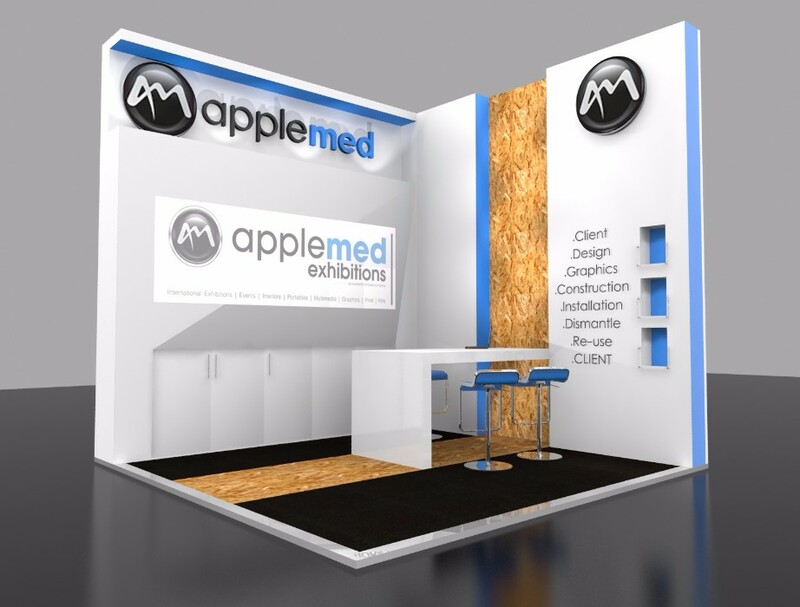 To help our clients find their voice, we launched Applemed multimedia: a full suite of digital capabilities expanding Applemed towards being a fully integrated exhibition and marketing agency.